KUALA LUMPUR (Oct 20): High-5 Conglomerate Bhd, formerly Silver Bird Group Bhd will be de-listed from Bursa Malaysia on Oct 24, 2014. In a filing to the exchange today, the bread-maker said Bursa Malaysia has decided to dismiss the company’s appeal against the rejection of its proposed regularisation plan in early August. High-5 has still not been able to mend its financials, with over RM37.23 million loss over the nine-month period ended July 31, 2014, as compared to RM38.5 million in the previous corresponding period. Last Friday, High-5 and its subsidiary, Standard Confectionery Sdn Bhd, filed a suit in the High Court of Malaya against AmanahRaya Bhd, CIMB Islamic Trustee Bhd (as the trustee for AmanahRaya Real Estate Investment Trust), its former group managing director Datuk Jackson Tan, and Datuk Ahmad Rodzi Pawanteh in relation to a factory in Shah Alam. Under the suit, High-5 and Standard Confectionery are seeking for the previous dealings between the parties on the said factory, with the address Lot 72, Persiaran Jubli Perak, Seksyen 21, 40000 Selangor Darul Ehsan, to be declared null and void and unenforceable. According to High-5’s filing to Bursa Malaysia, Standard Confectionery had previously sold the said factory to AmanahRaya, which the group had then leased back from AmanahRaya for its bakery operations. 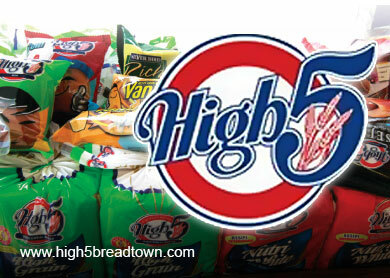 In its suit, High-5 and Standard Confectionery are seeking a declaration that the sale and purchase agreement (SPA) dated May 17, 2006, between Standard Confectionery and AmanahRaya, and the said lease back arrangement “is fraudulent and illegal and against public policy”. The plaintiffs also want the SPA, the Lease Agreement, the Novation Agreement and the Supplemental Lease Agreement be declared “null and void and unenforceable”. Thereafter High-5 and Standard Confectionery want the ownership of the factory be reverted back to Standard Confectionery. Finally, they also want to claim for “general, aggravated and punitive damages” from Tan and Ahmad Rodzi. Since last year, it was reported that High-5 had been trying to renegotiate terms with AmanahRaya to extend the lease of the said factory.